UPDATED: Thu., April 26, 2018, 10:08 p.m. 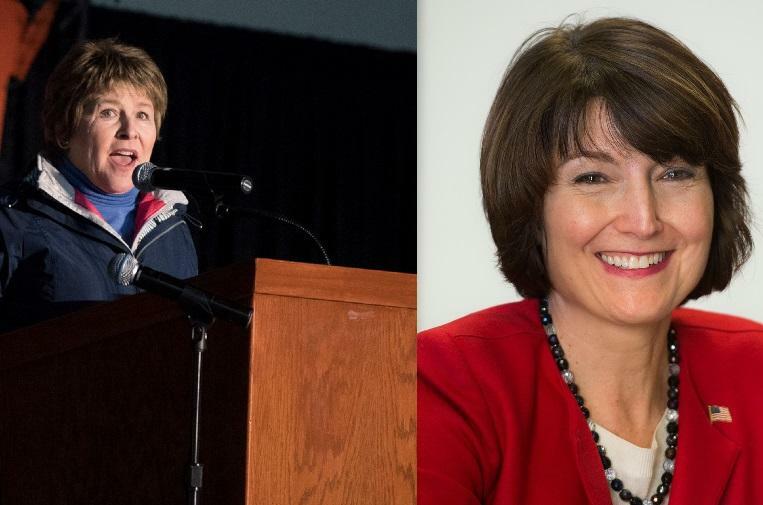 Yet another poll of Eastern Washington voters shows a tight race between U.S. Rep. Cathy McMorris Rodgers and Lisa Brown. Public Policy Polling, a Democratic polling firm based in North Carolina, released results Thursday of polls in 12 Congressional districts where Democrats believe they could make inroads in the upcoming midterm elections. McMorris Rodgers won 48 percent of the poll’s respondents in a matchup with Democratic challenger Brown, the choice of 45 percent of respondents. The Brown campaign distributed the poll in a news release, arguing it continued to show her prowess against the incumbent. McMorris Rodgers’ campaign pushed back on Brown’s legislative record and the poll results. “Just yesterday, Cathy passed her eighth bill in the last six months, five of which have been signed into law, which is why we’re confident this poll did not test Cathy’s history of getting results for Eastern Washington, nor what the Cook Political Report described as former Sen. Brown’s ‘very liberal voting record in Olympia, including fighting to raise taxes and tuition hikes,’ ” said Jared Powell, a spokesman for McMorris Rodgers, in a statement. The margin is half of what was found in a previous poll commissioned by The Spokesman-Review, KHQ-TV and other regional media outlets earlier this month, and is within the poll’s 3.7 percent margin of error. A total of 689 voters were contacted via automated telephone interview for the poll on April 16 and 17. The poll’s authors declined to provide the exact wording or order of questions, citing ownership by Patriot Majority, a nonprofit political action committee that has historically supported Democrats. The group has already made $343,000 in media buys for this election cycle and is heavily supported by union dollars, according to the watchdog website OpenSecrets.org. Brown had a stronger showing among poll respondents who said they were “very excited” to vote, earning 57 percent of the respondents who identified in that category compared to McMorris Rodgers’ 40 percent, according to a news release from Public Policy Polling. The poll drew from a slightly larger pool of respondents in Eastern Washington than the one conducted by Elway Research Inc. for The Spokesman-Review. But the interviews were automated, which generally receive lower response rates and are prohibited by law from being conducted on cellphone lines, according to survey experts. Published: April 26, 2018, midnight Updated: April 26, 2018, 10:08 p.m.